There’s been a video floating around the internet about a woman who was “scammed” when a door-to-door representative switched her from DIRECTV to DISH, and she said she wasn’t informed. In the end, she was switched back and everything ended up well, but the local TV news took note and reported on it for the evening news. The woman claimed that someone knocked on her door claiming to represent both DIRECTV and DISH and through a joint venture between the two, they could save her money. She claims they came to her house and threw her old dish in the trash, and that they were there until late at night. She claims she never asked to switch to DISH but she was switched anyway. We’ll never know what was actually said and what actually happened, since the news team never followed up with the company. They chose the story of the confused citizen vs. the unscrupulous scammer. Here’s another possibility for how it happened. A representative of a legitimate third party satellite dealer knocked on the door. Especially in these times, trying to get new business any way they could is no crime. This person accurately said that his company represented both DISH and DIRECTV. Many companies like Signal Connect will do installs for multiple companies. This isn’t a crime either. In fact it’s like an independent insurance agent. We don’t know if this person said that they were part of a joint venture, or if they disclosed that they would be switching the lady to DISH. Let’s not go with hearsay. The installer came and disposed of the old dish in the trash. This is standard policy for both DISH and DIRECTV. The news makes it sound so evil, when it’s just cleaning up after yourself. The installer took the time required to do a good quality installation. We don’t know the condition of the in-home cabling or the equipment used. They didn’t leave until the job was done. Is that so bad? At the end of the day, we don’t know whether there was a signed work order or not, and what the lady was told, since the story mentions no paperwork. The truth is that this could have been a completely legitimate situation where people just didn’t understand each other, not some massive case of fraud. 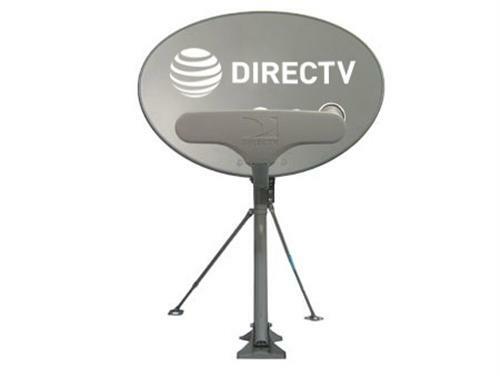 Both DIRECTV and DISH allow independent dealers to offer their service. SolidSignal.com will happily sign you up for DIRECTV or DISH. Both companies appreciate their dealer networks and there’s absolutely nothing wrong with signing up through a dealer. No one is allowed to switch you without permission, not Verizon, AT&T, Charter, no one. In fact you have the right to demand, in writing, an estimate to any changes being done on your property, whether you rent or own it. If you are not clear on what’s being done, don’t do it. The fact is, that new customers often get incentives. That’s how this woman would have saved money, because she became a new customer. That’s not fraud, that’s business. It sounds like whether or not that was explained to her, she didn’t get it. You should also know that there is not one piece of equipment that can be used for every cable or satellite company. Every time you change, you are going to get different equipment. That is a fact. So, knowing that, you know that there is going to be some equipment removed, and if you don’t want it put in your trash, tell the installer and he will take it away for you. But at the end of the day there’s nothing wrong with tossing old equipment unless it violates local recycling laws. A competent installer is going to stay as long as it takes to get the job done, and sometimes that means a long time. There’s no guarantee that an install will be done quickly if you want the job done right. If the lady in this video was defrauded, that’s awful. If, on the other hand, a well-meaning installer didn’t effectively communicate, that’s completely different. Know your rights and you can avoid this kind of confusion.